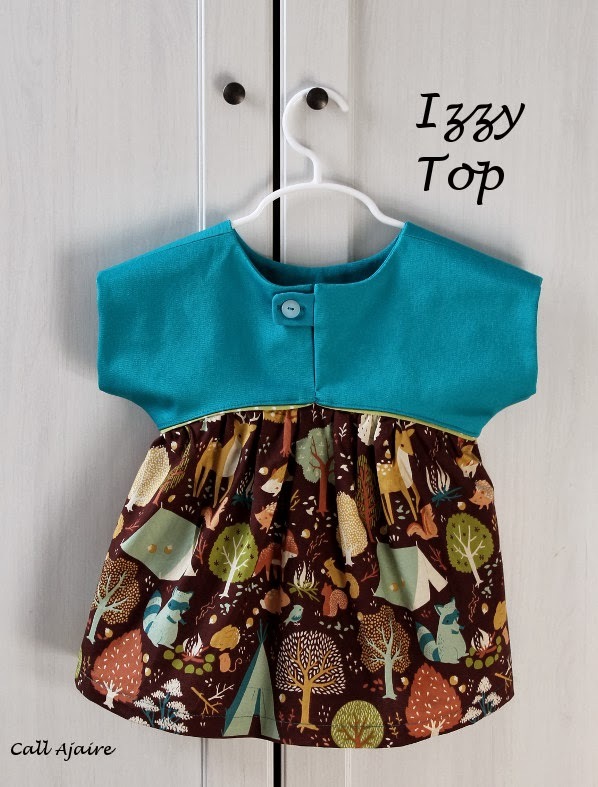 I’ve had my eye on Climbing The Willow’s Izzy Top for ages now and I finally sewed one up for Bean. 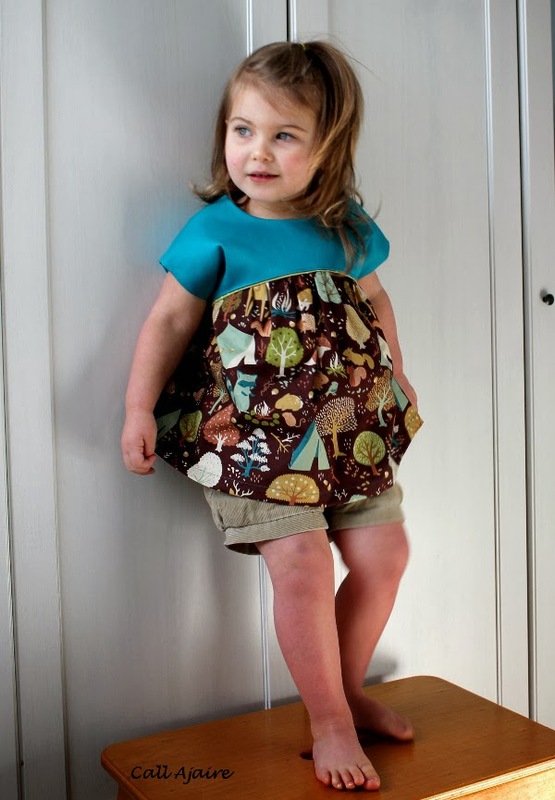 It’s a free pattern and tutorial that she offers in sizes 18M – 12! That’s incredibly generous. If you don’t know Teri from Climbing The Willow yet, its worth your time to check out her amazing my tutorials page because there is so much good stuff on there. Anyway, I think it’s the basic design of the top that caught my eye. I like when a design is simple, yet has some interesting quality and in this case it’s the curved yoke. The curve makes my eye catch the skirt fabric more than a straight bodice would so I think it’s a great way to feature a woven fabric you’ve been hoarding. I sewed the 3T size since Bean is growing and growing and growing. I hear a lot of moms talk about their older kids being 2T with size 6 length or 18M with size 4 length and I crack up because Bean is not even 3 yet and she’s a solid 3T with practically a 4T length already. 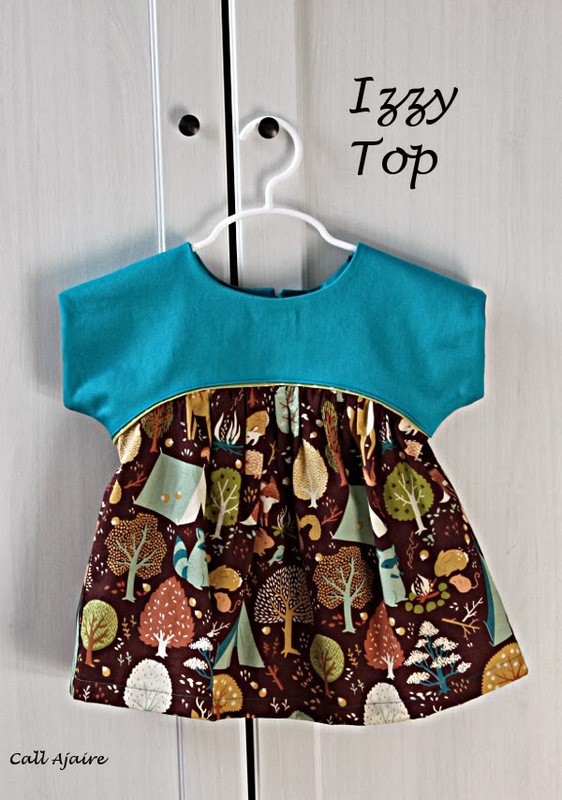 I used some of my Fort Firefly Camp fabric by Teagan White. Man do I love her designs. I also bought the yellow fireflies in a jar (can’t recall the name) from the same collection and I’m hoarding it until Bean is old enough to understand how cool fireflies are. This summer should do the trick; we get a crazy amount of fireflies in our yard every year. The solid blue fabric is more stretch sateen from JoAnn. I have had such great results with their stretch sateen and I have it in many colors. I’ve been seeing some florals pop up lately so I’ll have to keep my eyes open for it the next time I’m there. It’s my favorite bottom weight fabric because it gives some strength and body to a garment, but still has a bit of stretch to it. It washes and dries in the machine great without much shrinking. Plus it has a subtle shine to it so it’s a little more interesting than a plain solid. This top is one of those speedy speedy sews too. As you may know I am competing in Project Run & Play at the end of this month so my mind is spinning with design ideas. I needed a quick sew that doesn’t need a lot of concentration to sort of quiet my brain for a bit. Does anyone else do that? When I was in college and taking advanced computer science courses my mind would constantly be working out whatever algorithm we were working on at the time. Some of my classmates were the type where their brain would focus somehow just before falling asleep and they would jump up and have to jot down notes before they lost the idea forever. I on the other hand would just start cross stitching or knitting or something else active with my hands that didn’t take a lot of concentration and somehow that would be enough to let my brain solve the problem in the background. When I write that out it sounds a bit crazy, so now I’m definitely curious about all of your creative processes! That top is adorable and you aren't crazy at all! When I had to write essays, I would plan what I wanted to say but then, I would just stare at a blank document, unable to write a word. I had to play Minesweeper for an hour or two to let my brain work it out. I would return to the document periodically to see if I had gotten over the block. At one point, the whole essay would just flow out and it would be all written up in under an hour. Thank you for coming by Teri! I love the pattern 🙂 I can totally relate to the cleaning thing. As much as I hate to admit it, folding laundry can really focus my brain too. It's a shame sewing is much more fun than cleaning cause otherwise my house would be spotless! I love hearing that Raphaelle! It's so strange how the human brain works, isn't it? I was at Joann's today looking at it:) I've been eying that pattern for a while too! 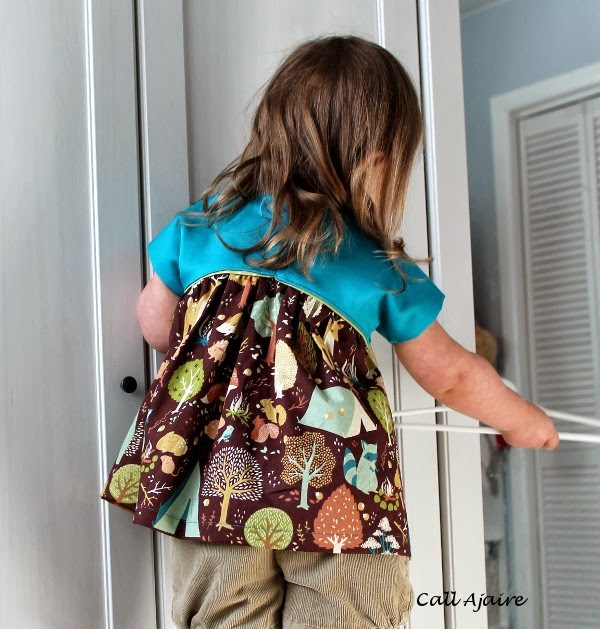 I like an easy sew before a big project too. It boosts my confidence up a little, I think! I'm trying to figure out how to sort out writers block right now. I can't write a post to save my life!! I loved the long sleeve one too! If I wasn't already looking ahead to spring I would have done that style too. I can't wait to see yours! Super cute top! It looks great with the shorts. Great fabric choices! 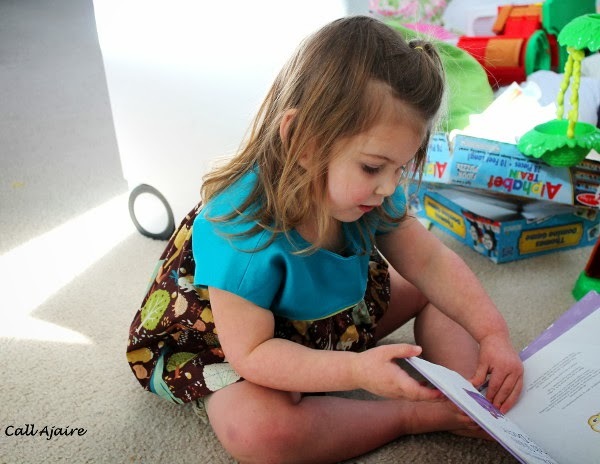 Thank you for sharing at The Submarine Sunday Link Party!